The new season of Arrested Development is out on Netflix—all fifteen episodes of it. You're not "supposed" to, but you could watch the entire season right away if you wanted. I'm guessing at least some of you did just that. Binge-watching something on Netflix isn't uncommon. If a show hooks you well enough, and you have more episodes left to watch, why wouldn't you watch them? If possible, people will watch through entire seasons of a show in a weekend. I've done it. Still, if you read through interviews leading up to the release of season 4 of Arrested Development, you'll find that the people behind the show hope you won't do that. I think of it more like writing a mini-series than something [for] binge watching… I think that people do sit down and watch it all at once. Personally, I think [that] will be very fatiguing and will lose some of the fun of being able to mull on it. But I think that with the majority of binge watchers, it’s a modified binge watching, just like the majority of novel readers. You know, you don’t read it all at once. But you are in control of when you feel like going back to it… I personally hope people don’t sit and watch it for, you know, 500 minutes or longer. I had read these interviews going in, and I promised myself I wouldn't shotgun the entire season this weekend. A few episode, tops. While I didn't watch through the entire show this weekend, I definitely feel like I watched more than I 'should' have. Those against binge-watching would probably argue I didn't take in as much as I could had I taken it slow, had I taken more time to reflect on what I've watched. Heck, they might argue that I was tempted to binge-watch not because the show is good, but because it's potent escapism. Wired contributor Grant Mccracken argues that TV has become our "second home," and binge-watching is a way of providing ourselves with "a sense of security" which can create "comfort" and makes "the world go away." A description which could just as easily be about video games—another medium which "suffers" from binging. It's not a topic of heated discussion in this space in the same way it is for television—I've read like a dozen editorials that explore binge-watching on Netflix—but it's definitely something that I know people do. I for one, by nature of having a job that requires me to review games on occasion, will sometimes play through a game at what feels like an unnaturally fast pace as a means of meeting a review embargo. An eight to fifteen hour game will be played through in a weekend, easy. Of course, binge-playing isn't something exclusive to game reviewers. One of the reasons that we have day-one DLC is because developers know that at least some players burn through games at an absurd pace, and the extra content is meant to meet that demand. It wasn't until I started playing Animal Crossing: New Leaf this month that I realized that I expect games to let me gorge on them as much as I'd like. This is completely anecdotal, but I've heard it said that the best way to play through Animal Crossing is to treat it like a chore that you devote no more than about 30 minutes per day to. And playing it, sure enough, there's only so much new stuff you can do on a daily basis—pull out weeds, find fossils, do some errands, capture some fish and insects, make some money. Maybe I'll do something exciting that day, like buy turnips or start a new project in town—but these are all things that won't take me long to do. So I could play for more than 30 minutes daily, but Animal Crossing's design encourages me to take it slow. It's a design decision that feels jarring when I live in a world where I can watch an entire show in a weekend. If given the option, I'd probably pay money so to be able to experience more of Animal Crossing every day—I mean, that's the basic business strategy behind a lot of social games, isn't it? Pay so you can keep playing, pay so you can see more? Except I have a feeling that Animal Crossing would be extremely different if I could play like that—and probably not for the better. Animal Crossing's efficacy as an idyllic game hinges on how much I can play at a time, in the same way that the comedy in Arrested Development hinges on how much I sit down to watch. Which makes me wonder: even if I'm not playing through an entire game in a weekend, am I changing the core experience for the worse if I don't take my time? My guess is yes, though I also know that realizing this is the case sometimes makes no difference. 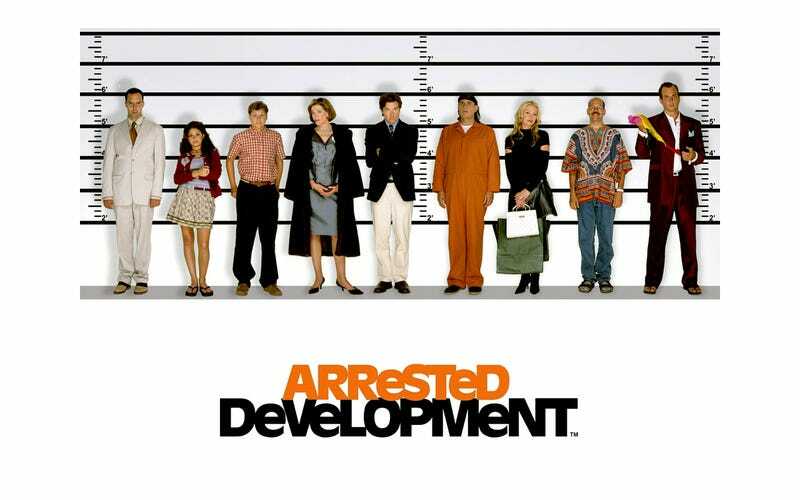 I knew Arrested Development shouldn't be something I binge on, and I did it anyway. I suspect I ruined some of the experience for myself, and will likely go back and re-watch in an effort to soak more of the show in. It's easy to chalk it up to a lack of self-control, but I'm not sure that's the only culprit to blame. When that's the fray I jump into with most games, Animal Crossing feels like a reprieve. How often do you see a game referred to as a "roller coaster"? I see it everywhere, often used as a shorthand that denotes when a game takes you on a high octane ride. Games are designed so that you keep playing: a roller coaster is not something you get off of, after all. It's purposeful, that roller-coaster feeling. So of course you'll keep playing, even though the prospect of a real-life roller-coaster lasting the length of a typical game sounds exhausting. I will never be able to say that Animal Crossing is exhausting—on the contrary, it feels meditative. Calming. Contrast that to barely pausing while playing through Fuse this weekend—that's a 9 hour game! I'd go from one huge gunfight to a cutscene and onto the next mission, never really taking the time to let scenes or events linger. This sort of thing isn't a rare occurrence. When that's the fray I jump into with most games, Animal Crossing feels like a reprieve. It took some time to look at it that way, though. At first I disliked the pace of Animal Crossing immensely, but now I'm learning to appreciate it—it allows me to take a step back and look at things differently. I feel like I'm taking more out of my playthrough with Animal Crossing, despite the short amount of time I'm spending with it, than with games I pour hundreds of hours into. Developers can't force you to play a game a certain way—heck, I've never seen a developer urging players to pace themselves, like Hurwitz does with Arrested Development—but even so, I hope more games find ways for players to take it slow. If nothing else, it feels good to step off the roller-coaster every once in a while.